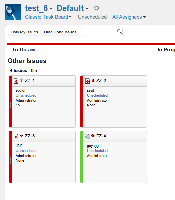 [JSWSERVER-6003] Add several fields in the summary view in the Rapid Board cards (like the classic board) - Create and track feature requests for Atlassian products. That would be great if the issue cards in Rapid can have the summary view (just like the classic board). Please refer to the attached screenshots for more details.